“Behind every window, there’s a story waiting to be told” Charles Kuralt used to say. And Rome has its own stories, too. Some are kept hidden behind a curtain, others are being told everyday. The Reaction project came about to tell stories about Rome viewed through the eyes of those who live and breath the city. 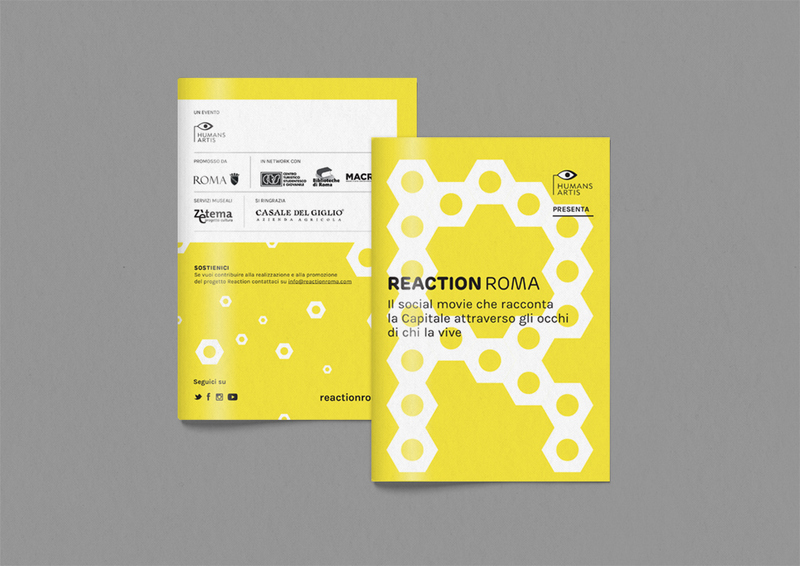 Reaction is a project open to everyone who uses the contemporary language of social movies, a brand new insight into the Eternal City, a video-installation at MACRO Testaccio and, ultimately, a collective experiment zooming over anything that hasn't been told about Rome. People are invited to grab their smartphones, tablet or cameras and film pretty much about the city, contrasts, elements, humans or movements. Videos can be submitted through the website and then get transformed into small infographics that show how people are responding to the overall experiment. 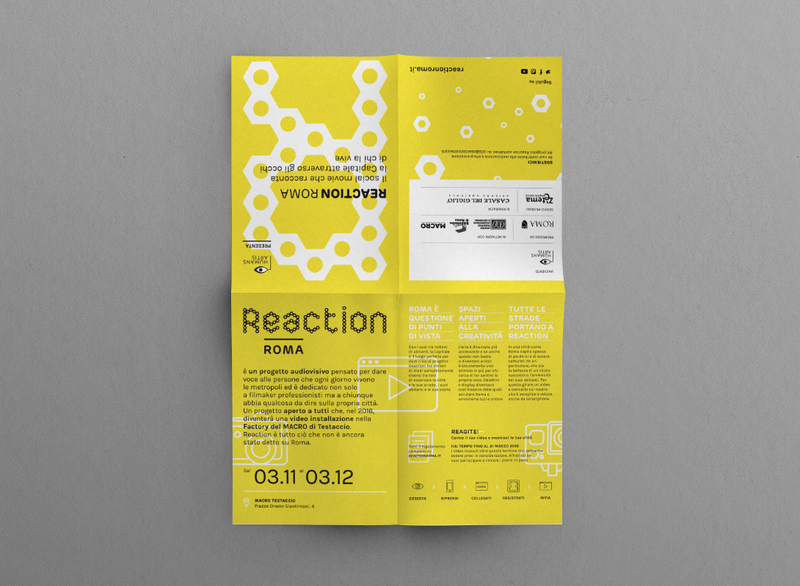 Posters, printed materials and a responsive website go communicate rules, prizes and deadlines and to the Romans out there. “Behind every window, there’s a story waiting to be told” Charles Kuralt used to say. And Rome has its own stories, too. Some are kept hidden behind a curtain, others are being told everyday. 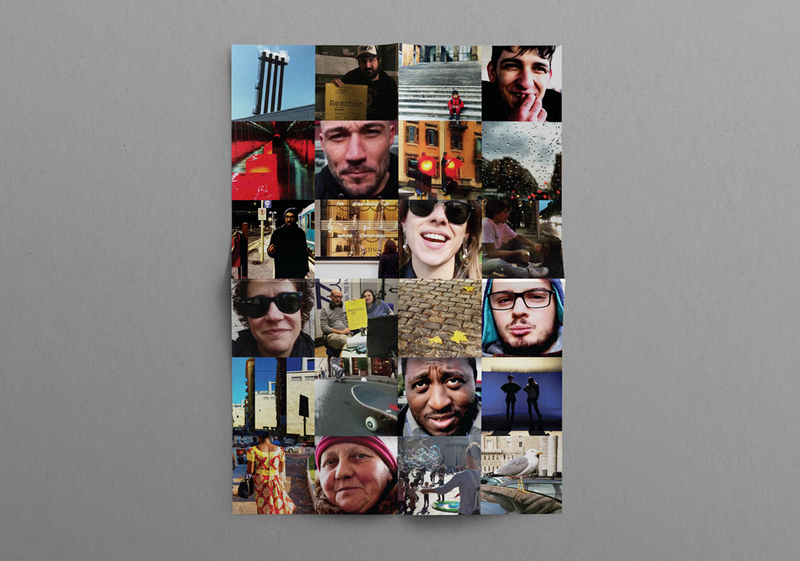 The Reaction project came about to tell stories about Rome viewed through the eyes of those who live and breath the city. 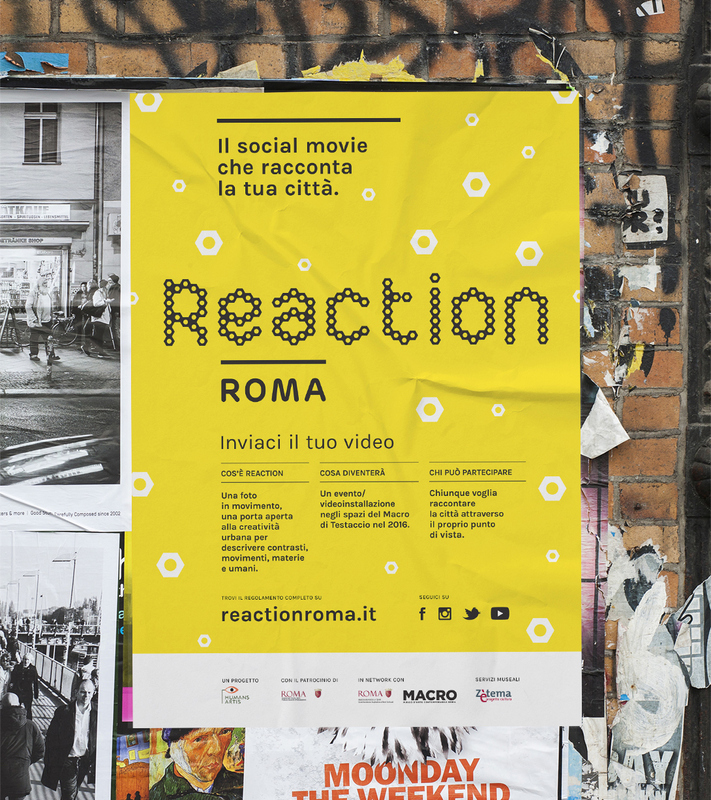 Reaction is a project open to everyone who uses the contemporary language of social movies, a brand new insight into the Eternal City, a video-installation at MACRO Testaccio and, ultimately, a collective experiment zooming over anything that hasn't been told about Rome. People are invited to grab their smartphones, tablet or cameras and film pretty much about the city, contrasts, elements, humans or movements. Videos can be submitted through the website and then get transformed into small infographics that show how people are responding to the overall experiment. Posters, printed materials and a responsive website go communicate rules, prizes and deadlines and to the Romans out there.